i. Prime Minister Narendra Modi and Netherlands Prime Minister Mark Rutte, who is in India at PM Modi's invitation held wide-ranging discussions on bilateral and international issues at the Hyderabad House. · Netherlands Capital- Amsterdam, Currency- Euro, USD. i. 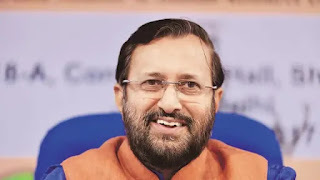 Human Resource Development Minister Prakash Javadekar launched 'Samagra Shiksha scheme' for school education. iii. Samagra Shiksha is a program that unifies learning from the pre-school to class 12 levels and encapsulates elements of the Sarva Shiksha Abhiyan, Rashtriya Madhyamik Shiksha Abhiyan and teacher education. i. In New Delhi, Prime Minister of Netherlands Mark Rutte inaugurated the Indo-Dutch Ganga Forum to take forward an MoU signed between the Ministry of Water Resources, River Development and Ganga Rejuvenation, and the Ministry of Infrastructure & Environment of the Netherlands in June 2017.
i. The two-day conference named SCO-Regional Anti-Terrorist Structure Legal Experts (RATS) of legal experts took place in Islamabad under the framework of Shanghai Cooperation Organization, which comprises China, Russia, Kazakhstan, Kyrgyzstan, India, Tajikistan, Uzbekistan and Pakistan. i. The 3rd Mission Innovation Ministerial Meeting was held at Malmo, Sweden. The Indian delegation was led by Dr Harsh Vardhan, Union Minister for Science, Technology and Earth Sciences. ii. Dr Harsh Vardhan inaugurated Smart Grid Workshop at Copenhagen and Chaired public-private roundtable on Strategies on Decarbonisation through innovations in Smart Grids. India announced setting up of First International Incubator for clean energy in a public-private partnership at a total investment of around US $ 5 million in Delhi. · On November 30th, 2015, leader of 20 countries came together to launch Mission Innovation (MI), a landmark 5-year commitment to accelerate the pace of innovation and make clean energy widely affordable and accessible worldwide. · Cambodia Capital- Phnom Penh, Currency- Cambodian riel. · Chairman of SIDBI- Mohammed Mustafa, Founded- 2 April 1990, Headquarter- Lucknow. · According to the SCImago Institutions Ranking World Report 2017, CSIR has been ranked 9th in the world amongst the 1207 government institutions, with an overall global ranking of 75 in the world. ii. Prior to joining Airtel Payments Bank, he was the Joint General Manager and Retail Business Head - South India for ICICI Bank.